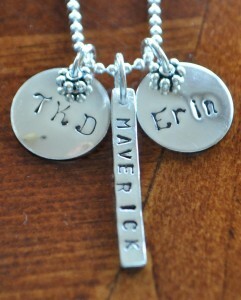 This special necklace was made by a little girl for her sister for Christmas. 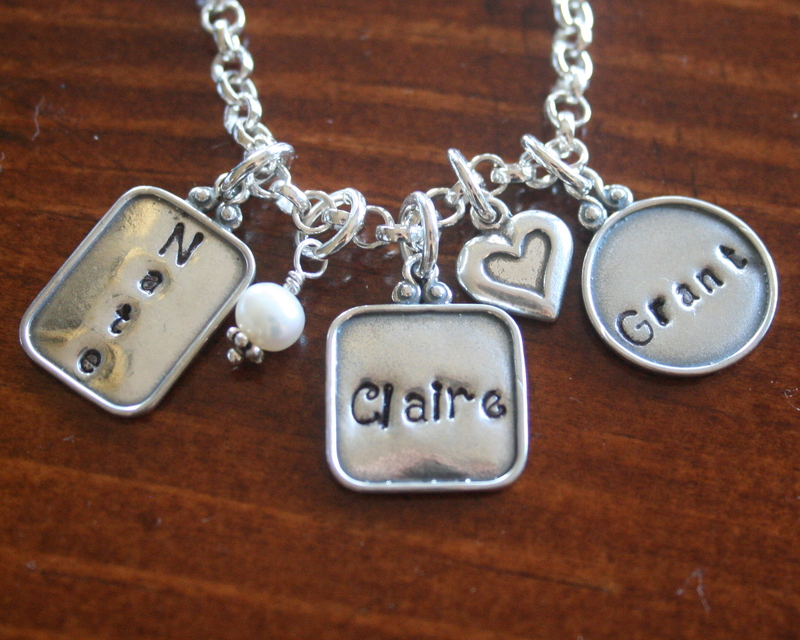 This classic necklace features two petite circle charms and one long rectangle avery charm on your choice of sterling silver chain. 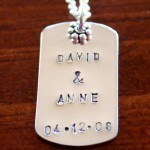 Nothing says “I Love You” quite like a romantic gift personalized for your sweetheart. 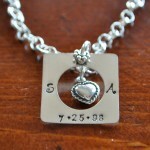 So, spoil your sweetie this Valentine’s Day with a hand-stamped silver necklace from K&S Impressions! 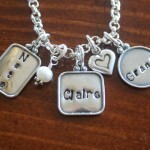 Personalized jewelry is a wonderful way to show her that she is loved, while adding style and meaning to her customized gift. So spoil your sweetie this Valentine’s Day and create something unique and meaningful for her to cherish. 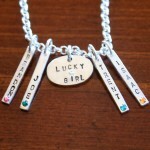 So, get started early and charm her with something sweet like a personalized silver necklace from K&S Impressions! 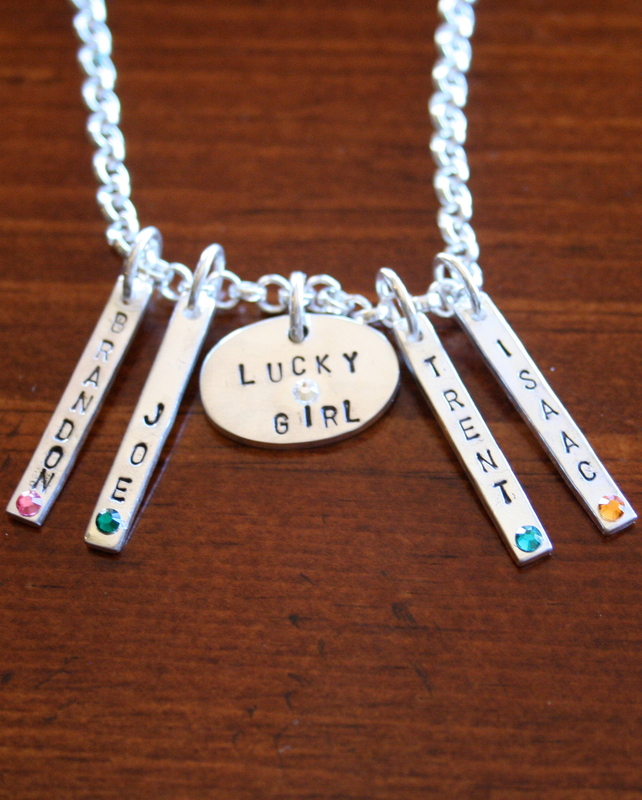 Hand-stamped silver jewelry may be your answer to finding jewelry that adds style and meaning to your sweetheart’s Valentine’s Day gift. 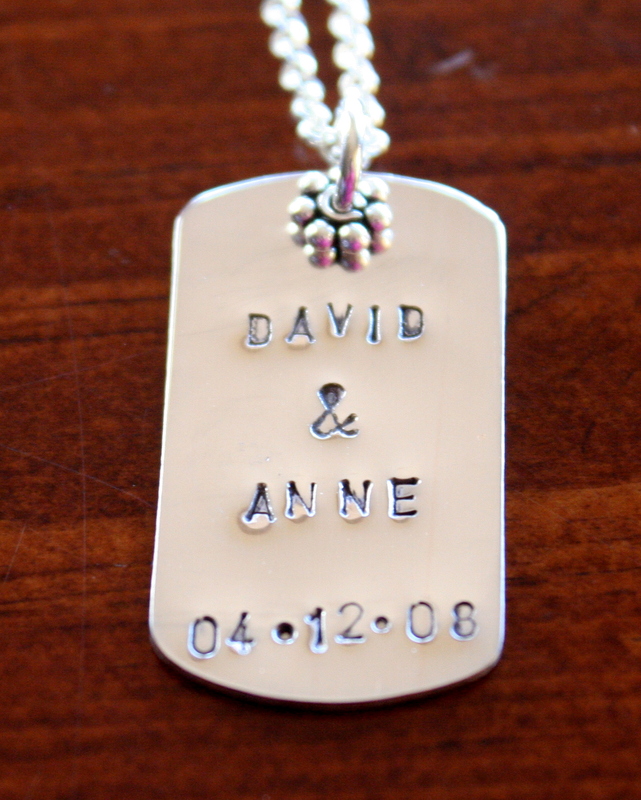 Personalize a necklace or bracelet with an anniversary date, wedding date, monogram or the names of her children, grandchildren or special pet.